Since I post these monthly Mystery Book New Releases a month early, I thought some of you may be interested in taking a look at the March 2015 current releases. Click here to see the March 2015 Mystery Book New Releases. Oh WOW – so many of my favorite series having new releases in one month!!! It would take me a good few months to get through them — just make it easy & send me the first 20 or so on the list LOL! 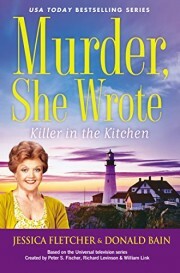 Stash, I’m agree with you about there being a lot of really good Cozy Mystery series that are releasing during April 2015. What a great April reading list. More books for my TBR list … good. More snow in Connecticut … bad. Thanks again Danna for keeping your cozy reader up-to-date. I was happy to see A CATERED MOTHER’S DAY on your list, I really enjoy this series and I wasn’t aware a new book was to be released. I already have DEMISE IN DENIM and KILLER IN THE KITCHEN pre ordered. I love, love, love both series. It’s always a relief when I start a new series (like the Consignment Shop Mysteries) and get through the third book, and then find out number four will be released. If the publlisher continues after three, usually means the series will continue. There is nothing worse than finishing that third book and the series is dropped. Thanks again for the lists Danna! Margaret M, I absolutely love those holiday Cozy Mysteries! I had never thought about the third book to fourth book succession. I’m going to start to watch for it! So many books, my TBR pile keeps getting bigger and bigger- I thought when I retired in June from teaching for 38 years the pile would get smaller but not so .. Of course its kind of nice to see all those books on the shelves and I do believe that you can never have too many books. Thanks Danna. Denise, congratulations on your retirement from teaching! By now you are probably all settled into your new daily routine. I agree about never having enough books, although these days it’s my Kindle that’s “shelfing” mine. Thanks for the list and more great new one s too enjoy. But why would two of them be Christmas theme in April? Lee Ann, well at least this way we’ll have them when Christmas rolls around this year! Lee Ann, after I read your comment, I started wondering if I had mis-labeled one of the books, so I sent an email to Ann B. Ross asking if Miss Julia Lays Down the Law is a Christmas themed mystery. She very kindly sent me a letter back saying it’s not a specifically Christmas themed mystery. Since the ladies are working on Christmas ornaments to sell at the Christmas bazaar, Christmas is mentioned a few times. She chose November because she wanted the novel to take place during cold weather. Thanks for double checking. Still think that she would want it out in November then or December. I guess we just have to wait or think about Christmas when we read it. Julia, I think it’s strange, also. I kept checking and checking for the other versions, but apparently they don’t have them yet. HELP. I FORGOT THE NAME OF AN AUTHOR. HER UNCLE DIES AND LEAVES HER HIS SHOP. HE LIVED ABOVE IT AND ALWAYS MADE CHICKEN. IN ONE BOOK, CITY HALL WAS FULL OF FROGS. THE BASEMENT HAD A SECRET PASSAGE TO A CHINESE STORE? OR ONE THAT SOLD FRIED CHICKEN LIKE HER UNCLE DID. I WANT TO BUY HER NEW BOOK WHEN IT COMES OUR BUT CAN’T REMEMBER HER NAME. The author is Rebecca Hale. Janice, my gosh that was fast! Thank you! hi. i too am puzzled by the elizabeth peters new book situation. i contacted my local book seller, but she has told me that there will be nothing available until april 2016. i am disappointed, but nice to know there will be one last book. by the way, even elizabeth peters’ own author website (hopefully overseen by her ghost) doesn’t list this book…yet. WOW!!!!! So many goodies to buy this month and I’m going to a reading fool in April! Thanks for the hard work you put into the monthly lists. Debbie, thanks, I enjoyed the chuckle! Elizabeth Spann Craig’s latest Myrtle Clover – A Body at Bunco (#8) -was just released yesterday! Martha T, welcome to the Cozy Mystery site, and thank you for commenting! Hope to see a lot more of you here!